More announcements from your favorite brands! 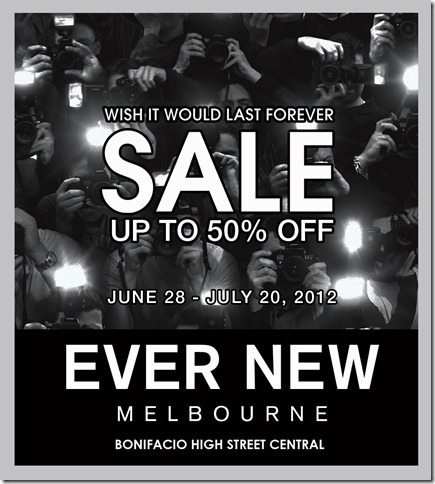 Sale events, promos and contests. 1. EVER NEW is on SALE! The Coca-Cola Company and McDonald’s Corporation will celebrate the London 2012 Olympic Games with their customers Coca-Cola London 2012 Olympic Games Glasses. From 8-31 July 2012, consumers will be able to collect 6 different colored glasses, embossed with official London 2012 Olympic Games sport pictograms. These unique Coca-Cola glasses will be available at McDonald’s will come in a series of colors – Pink, Green, Blue, Aqua, Charcoal and Purple. Each glass is embossed with an official London 2012 Olympic Games sport pictogram – Gymnastics, Athletics, Swimming, Basketball, Football and Cycling. As proud partners of the Olympic Games, both Coca-Cola and McDonald’s look forward to celebrating the spirit of the London 2012 Olympic Games. Be delighted and excited with the Coca-Cola glass offer in 2012, another great value to be enjoyed with the purchase of your favourite meal at McDonald’s. 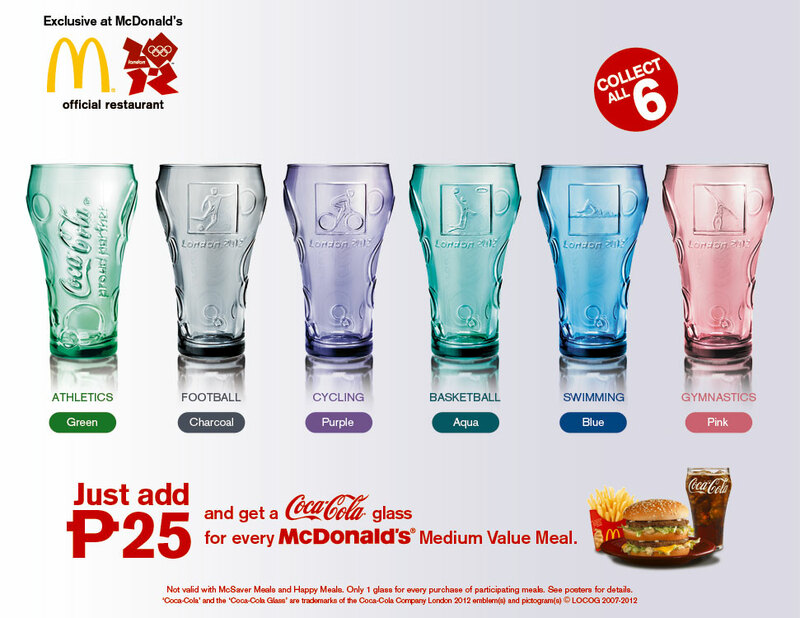 Simply add Php 25 to every Medium Extra Value Meal to get one Coca-Cola Glass. Collect all six! 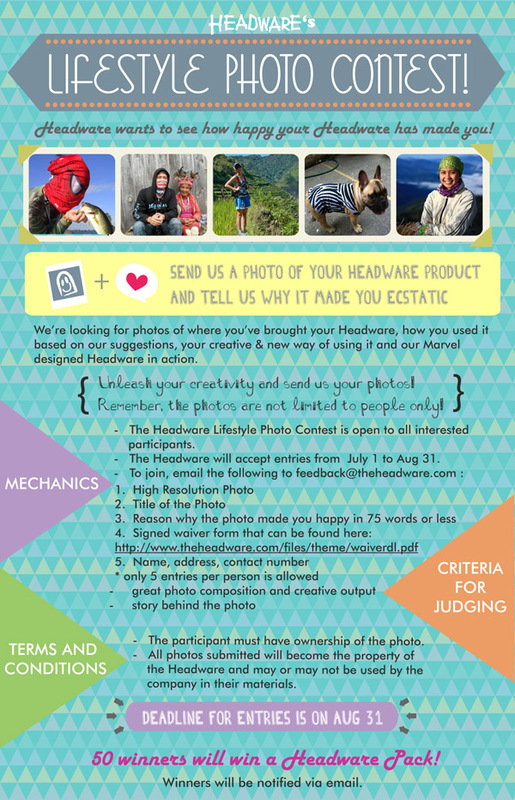 As a way of saying thanks, Headware is mounting its first ever Photo Contest for the many kid and adult Happy Heads with the Headware Lifestyle Photo Contest. The company wants to see how their products have made you happy. Just send the Headware your photo and why it makes you elated. 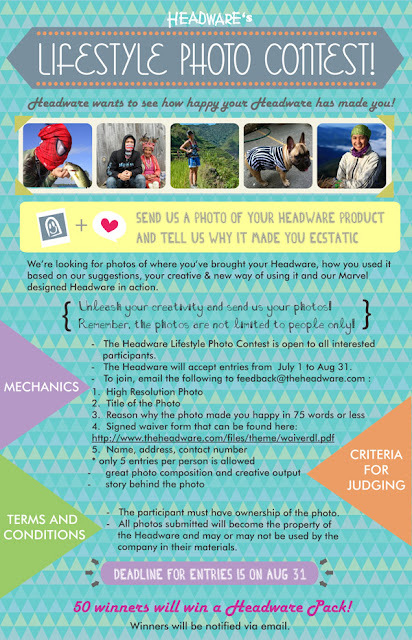 Send in photos of new uses for the basic Headware, interesting places where you’ve used it and the Marvel designed Headware in action. The subject of your photos is not limited to people only so let your creative juices loose. 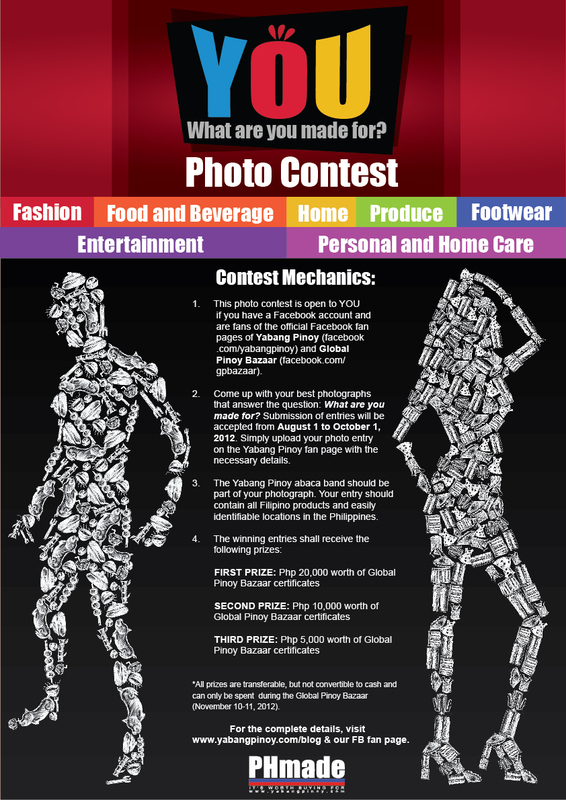 Deadline for entries is on August 31, 2012. 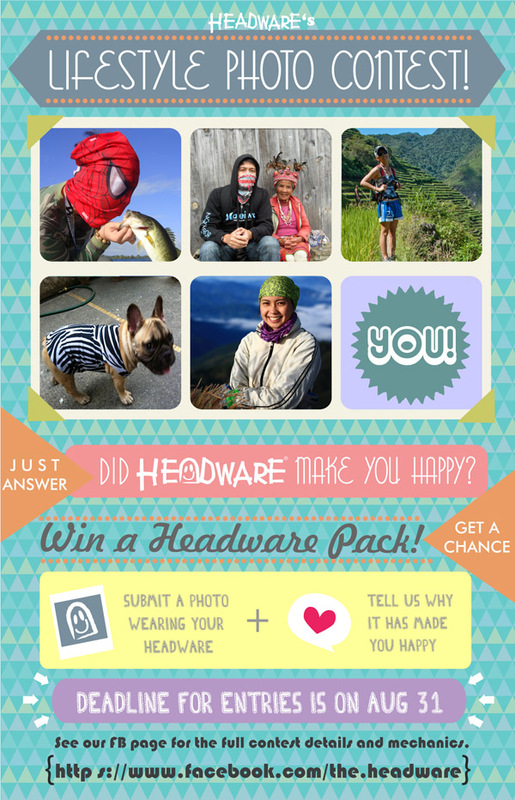 The Headware will be picking 50 winners of a Headware Pack and winners will be notified via email. 4. SM Accessories Knockout Sale! 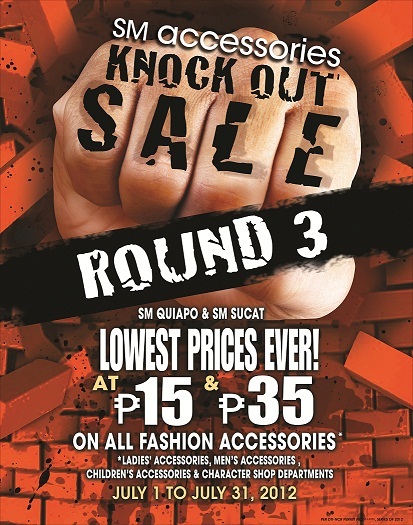 Complete your accessory hitlist with the SM Accessories Knockout Sale Round 3 at SM City Sucat and SM Quiapo! Take your picks from items for as low as P15 and P35 along with other special offerings from Men's, Ladies' Children's Accessories and Character Shop. Being stylish has never been more affordable. Brought to you by the only fashion accessories authority, SM Accessories! 5. SOFA x Loreal Hair Design Atelier! 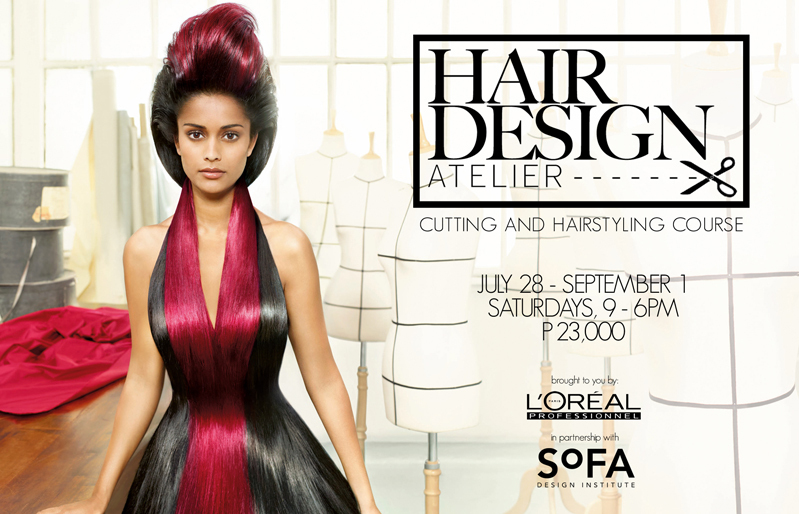 This 2012, these esteemed companies, L’Oreal Professionnel and SoFA Design Institute, ventures into Hair Design as it offers Hair Design Atelier, a cutting and hairstyling course. Both powerhouses believe that artistry has moved from canvas to hair and as such, endeavors to reinvent the profession as well as uplift the education in the practice as hairstyling works its way up as a coveted career in design. The practice of Hair Design has confidently gone beyond salons and is making its way into major runways and advertising. 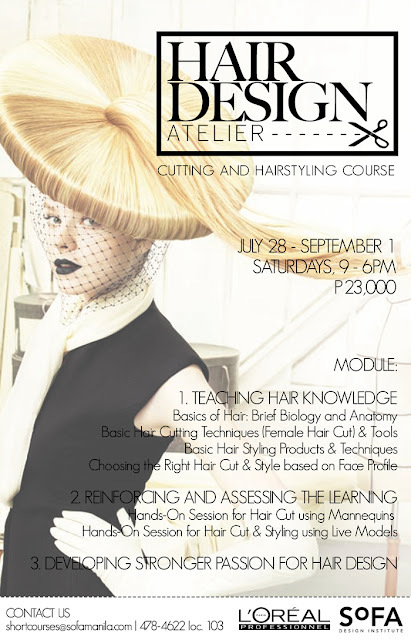 The Hair Design Atelier drives at strengthening knowledge on the practicalities of cutting and hairstyling as well as breeding a passion for hair design among fledgling Filipino hairstylists. This intensive course adapts lecture and practical based methods of teaching for rounded instruction. As aids to training, students shall be provided learning modules and references as well as L’Oreal tools and products for practice. Aspiring stylists and seasoned stylists seeking to enhance their current skill set will surely find the course worthwhile. You may call the Admissions Office at 4784622 loc. 103 or email shortcourses@sofamanila.com for more information on schedules, rates and other course details.